Just like springtime, ClearPoint 11.5 is on its way! Watch below for a sneak preview of highly anticipated new features that will supercharge your reporting – including master measures, project evaluations, improvements to the measure library, and more. My name is Catherine, and I’m your host for today’s webinar. And today is a moment you’ve all been waiting for, it’s here, it’s Clear…Point 11.5! On our last installment, we did a deep dive into some of ClearPoint’s chart customizations, I’d highly recommend checking out the recording on our blog, Vimeo channel, or support center – just search “Webinar”. As you all know, today, we are introducing the latest and greatest ClearPoint features to be gracing a computer screen near you in just a few weeks. And, we’ll walk through new features that will make it easier than ever to standardize, your measures… AND, evaluate your initiatives and milestones. And first things first, we are actually going to go beyond Metropolis to the wide world of the ClearPoint measures library. As many of you know, the Measures Library was introduced so that organizations would have a way to share measures and benchmark against one another. We have over 300 measures in this library, including a set put together by ICMA. So, say you’re looking for an example of how another organization tracks emergency response time, for example, or you’re interested to see which measures cities are tracking to ensure the safety of their community. I know I’ve gotten questions like this before from municipalities using ClearPoint. Well, now, there’s an easy way to pose your question to a whole group of awesome, performance-driven professionals who are participating in the Measures Library already! Let’s use this toggle in the top right to click on this discussion icon. We can see that, in addition to this general discussion thread, users can start focused conversations around benchmarking in the different program areas. To go off the example I just used, let’s click over to Public Safety. And we’ll click to post, which will be time stamped, and will show our name – I’m logged in as ClearPoint support. Then if I were another organization who saw this message, I could respond, and could use the measures library to share my measure with the organization in need. And in case you’re thinking – who wants to come and check this discussion thread every day for an answer?! We don’t want you to do that either… unless you do want to, in which case, more power to you. It’ll probably save you some time, though, to subscribe to this thread – that way, you can receive a daily digest email when new comments are made. So, we’re really excited about this discussion board – it’s going to be a great way for our users to make connections, exchange ideas, and learn best practices from other organizations! Now, we do want to point out some changes that you can anticipate to the look and feel of your account as well. Specifically, in Admin Options. Let’s click over there and take a look. For example, you can now find Report Options in its own designated area, rather than tucked into organization and security. Same with Default Fields and Custom Fields – these used to be in the same window. Now, under default fields, we’ve got the fields that ClearPoint associates with each element type by default, which you can rename. Under Custom Fields, are the fields that your organization has added to your account based on your reporting needs. And, of course, we’ve also got some new additions to the Admin Options mix. So first up, in the top right here, is Recalculate. If you’ve got several layers of calculations rolling up into your measure series, recalculating gives ClearPoint a little boost to make sure everything is fully refreshed. This can also come in handy when working with the master measures and project evaluations that we’ll talk about a bit later. To refresh the elements in a scorecard, simply click on recalculate, select one or more scorecards, and click Recalculate to generate the freshest of data. Down in the bottom left, we’ve got API Keys, which are going to allow you more flexibility and security when working with the ClearPoint API. What is an API? API stands for Application Programming Interface, and it is a solution that allows two separate applications to communicate information to one another – similar to a waiter, acting as a go-between for those dining in a restaurant and the chefs in the kitchen. Don’t worry if you personally are not familiar with the ins and outs of how these work – but if any members of your team are working to integrate ClearPoint with other solutions, like PowerBI, this is going to make things easier and more secure. Whereas previously, any connections or scripts utilizing the API would have to supply a username and password to an authentication API endpoint to start an authorized session. As long as any client making an API call provides valid API Keys, this removes the need for extraneous API calls to authenticate. Now, in addition to not requiring a username and password as credentials, any connections to the API can be expired, revoked, or switched to another user whenever needed, without any impact to users of ClearPoint. Moving on, down in the bottom right corner, you can see we have another new addition, which is IP restrictions. Entering an IP address, or IP range, into the Whitelist box ensures that only the IP addresses that fall within the list will be able to access your ClearPoint account. From the flip side, if you choose to blacklist IP addresses or ranges, all IP addresses except those in your blacklist will be able to access your ClearPoint account. Alright, now it’s time to introduce an awesome new feature that you might not have even known you needed. And that is master measures. and after getting it approved, you’ve duplicated this measure into every department scorecard in your account. In the past, this would have meant adding that new chart to every budget measure individually. But now, with master measures, you can link measures to a central setup – so that any changes to charts or series only have to be made once. First, I’ll show you my budget measure, in the Transportation scorecard. This is a measure where I know I’ll want to have it in several scorecards, and I want to make sure they all stay standardized. I’ve got a chart showing our projected year-end variance, and several calculated series for the YTD budget spend, end of year projection, and more. So, in order to use this setup as a basis for other budget measures, I’ll head over to admin options, and click on Master Measures. And I’ll click to add my master measure. We’ll choose Transportation as our scorecard and select our Budget measure as the template. Now, since we’ll be using this as a template, let’s go ahead and edit it to remove that scorecard-specific info. I’ll rename it Budget Measure Template. So, it’s non-department specific. And we’ll do the same with the chart – it’s just going to be called Department Budget. Let’s go over to our Parks and Recreation Department and look at the Budget Measure, which we can see we haven’t really finished setting up yet. So, what we can do, rather than recreate that whole format of the Transportation department, is simply to link this budget measure to our master measure. And we’ll see an option to Link Master Measure, where we’ll choose budget measure. Let’s click save and see what happens. And if we edit the layout, I’ll see that i can pull our department budget chart out onto the page. So, this is a huge time saver so far. And what about our scenario, where we need to add a new chart to all our budget measures? All we need to do is go to Admin Options > Master Measures > and edit our Budget measure. Select the right series and Save. Now, when we go back to our parks and rec measure, and we edit the layout, we’ll see our chart’s available there, so let’s add it to our layout. We can see the series and period settings we selected, and it’ll populate as soon as we have new data. So master measures are a great way to standardize and update your measures, allowing you to leverage the same series calculations and charts without having to duplicate measures or rebuild from scratch. They are especially useful for any type of measure that you tend to reuse. For another example, if your organization’s HR department sends out an internal survey with a standard set of multiple choice options for each question. All you’d need is to set up a master measure with the series and charts you want to show for each question. 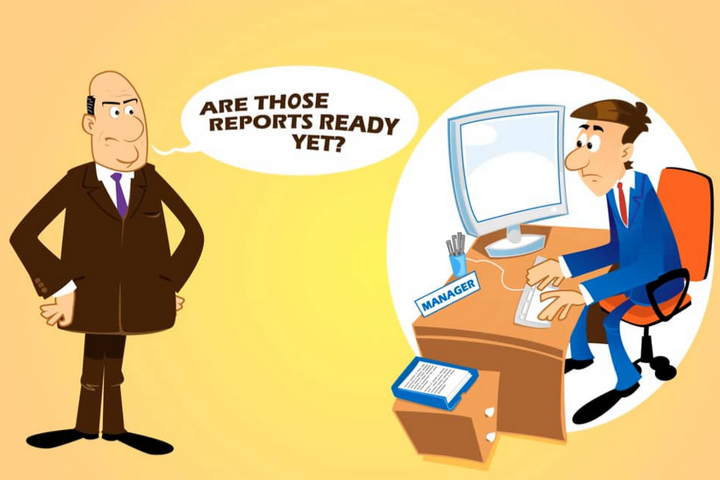 Then any updates you make to the format can be incorporated into all survey result measures at once. Master measures aren’t the only way that ClearPoint 11.5 makes it easier to reference the information you need – we’ve got a new type of calculation called a Reference Series also. Say for example that, here in one of our budget measures, we also want to show some information about how much we’ve budgeted for a particular project in our scorecard. Maybe we’re looking to compare the budget across a few of our biggest departmental projects this year. And clicking into our initiative dropdown, I can see that those are a playground redesign and installing a bike rental network. And heaven forbid there have been any changes on the initiative page that we didn’t take into account. But Reference Series are going to allow us to pull this information in automatically. You heard me – we’re referencing initiative information, in our data table, automatically. Let’s Double click our data table to add a series. And this series is going to be specific to a Parks & Rec initiative, which is why we are updating this individual measure, and not the master template. So, I’ll call this series, playground redesign budget. We’re going to add a calculation here – as i mentioned, we don’t want to have to enter this data manually. So, let’s go to the calculation tab. And when I click into my Calculation types – surprise! There’s a newcomer here at the bottom. Here’s our reference series. We’ll choose initiatives, and then we’ll pick one of the initiative reference fields to showcase that type of information in your measure data table! So, we’ll go for budget. Now this list of fields contains any field that has a quantitative type – the currency, percentage, or numeric custom field types work great, in addition to some default fields ClearPoint is showing here. And when we click save, we’ll see our project’s budget appear right here on the screen! We can chart it, we can do calculations with it, the possibilities are endless. Now, just as a note here, when we say projects, we’re referring to all the elements in ClearPoint with start and end dates. Your milestones, action items, initiatives… Project evaluations can be used for any of those elements. it’s not a far jump to see how tracking this quantitative information is going to be the key that allows you to evaluate those projects. Reference Series can display so many different fields, evaluating your projects is like a choose your own adventure – be it budget, or percent complete, or a different custom field, these can become the basis for a project evaluation. We’re actually going to leverage both Master Measures AND Reference Series together in order to set up our project evaluation. We’re looking to see whether we are achieving the same percent complete as we anticipated based on our project timeline. I’ve got a measure here called Initiative Evaluation Template, where I’ve started to set this percent complete comparison up. It’s got a Percent Complete series, and a Target Percent Complete series, and compares them in a chart. And in order to set up our project evaluation, we’re going to set this up as a new master measure. We’ll go back to admin options, click on Master Measures, and add our Initiative Evaluation Template as our master measure. Now, let’s click to edit, and here’s where reference series come in handy. I’ll choose to show the Percent Complete here for our initiatives and Save. So, because we’re using an initiative field, this is going to be a template for initiatives only. If we also wanted a template for milestones, we’d want to use a milestone field instead. Then the step you’ve all been waiting for – the automatic evaluation. Then any unknowns, we’ll want to show as No Information, so we’ll leave that dropdown as Any. Great so, now we’ve got a master measure. But how do we tie it to our projects? We’ll close out and head over to project evaluations. And we’ll see that we’ve got options here to apply a master measure to any of our project elements, and we can choose which of our master measures to make available for these element types. We’re going to set our Initiative Evaluation Template to be available for initiatives. Now, let’s go and see it in action for our playground redesign initiative. And let’s go into our edit window to the Edit initiative tab, to choose an evaluation option – we’ve got our Initiative Evaluation Template set. When we save, we’re going to see the initiative status go automatic!! And not only that, but we can actually see our quantitative data, too. We’ll click to edit layout, pull out measure data, a chart, and even series evaluation criteria, and Save. Look at all this quantitative data we can display about our initiatives! So, let’s enter our target percent complete – our scope was the whole year, so maybe we put 25/50/75/100 in each quarter. And as we adjust our percent complete, we’ll see that our statuses updated too! Now this isn’t all you can do with project evaluations, of course – we’ll go more in depth into all the options (like evaluating on an average of the milestones percent complete) that you can take advantage of in a future webinar. This is just a preview of what’s to come. And with that, we want to make sure to leave time for questions – I know it’s a lot of new information. Once a measure is linked to a master measure, what if you want to edit or get rid of that information just for that one measure? That is a good question, maybe you want to backtrack on that linkage, or keep the additional series and charts, but separate it from the master measure – and you can do both of those options. So, if I go back into Admin Options and click into Master Measures, I can actually see all the measures linked to the master measure here. So, if I go over to the measures tab, here is where I can unlink a measure that I no longer want to update along with changes to our template. And we’ve got two options. And unlink is going to keep them in your measure but allow you to edit them independently. So just as a little background as to what I’m referring to there, if we go back into our linked measure, and click into our edit window, you can see here that for this linked measure, all of these series and charts pulling in from the master measure are not editable here. So, this keeps everything standardized but you do have the option to unlink a measure if you decide it no longer has to have that format. Is the measure library still only visible to users who are Administrators? No, both Scorecard Admins and Administrators should have access to view the measures library, and I wanted to point out that both of these types of users do also have the ability to post to the discussion thread in the Measure Library. Only Administrators can add any new measures to the library though. So, Scorecard Admins can use it to communicate, view, and link measures, but only Administrators can add new ones. When will ClearPoint 11.5 be available for ClearPoint users? Our tentative release date is April 15th, and we will keep account administrators updated if there are any changes to that date. 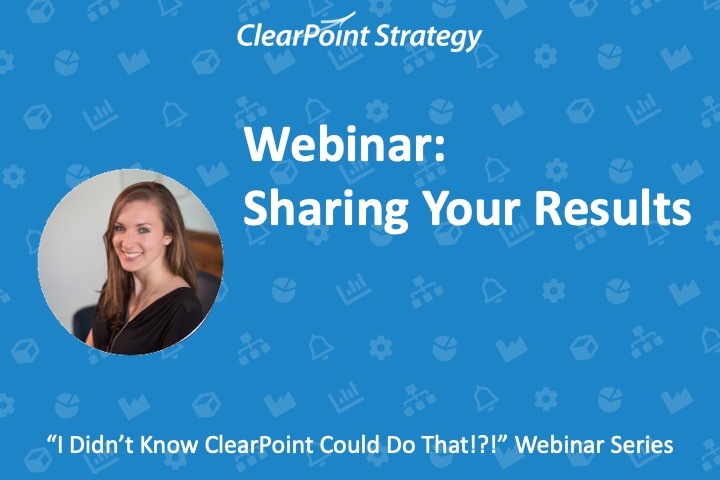 That’s all we have time for today – if you want to pass along this webinar to your colleagues to show them what’s coming in ClearPoint, we’ll be sending out the recording soon. And we’ve been busy updating our support center with 11.5 documentation if you want to learn more about the features we covered today. Thanks so much for joining us and we’ll see you next time on the I didn’t know ClearPoint could do that webinar series. Happy Reporting!